One manufacturer able to bring the fight to Synology in terms of OS features is QNAP, and with 1GB of DDR3 memory and a 1.7GHz dual-core Alpine AL-212 CPU, the TS-131P and DS-116 are also evenly matched in terms of specifications. 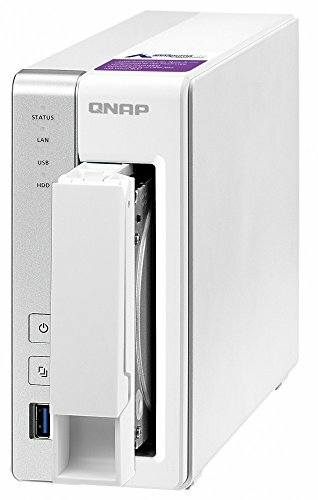 However, the QNAP NAS has a few extra features. 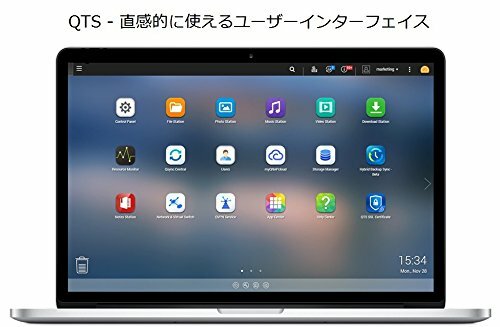 Firstly, it has a front-located USB 3 port and a one-touch copy button, which is more convenient than reaching around the back to access the Synology DS116’s rear ports. 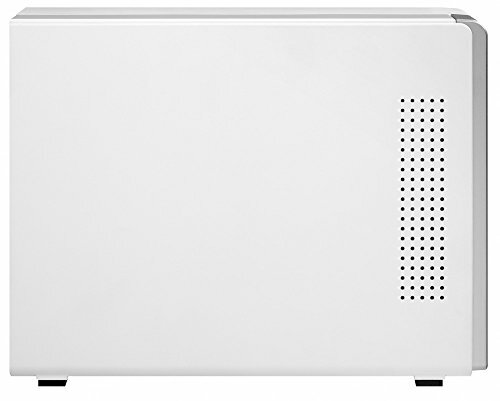 The TS-131P has an additional USB 3 port too, and a removable hard disk tray, which saves you from removing half the case to install or remove the hard disk. The TS-131P’s fan is slightly smaller than the spinner in the Synology NAS, though, and was a little louder under full load, although you’d need to be located within a couple of feet of the unit to hear it. Like Synology, QNAP offers all its apps across all its NAS models, including the cheaper ones, along with the same operating system. In this case, the OS is called QTS. You get the full suite of media servers, which cater for photos, videos, music and files, plus surveillance cameras, Internet sharing and cloud functions. It took less than ten minutes to set up these apps, and with an array of mobile apps, or alternatively through a browser, you’re able to watch videos and view your other content and files over any Internet connection. Plex is supported, as is iTunes server, and it’s possible to create your own Dropbox-like cloud too. If you want to place the NAS in an outbuilding or loft, it supports Wi-Fi dongles as well, so you don’t need to physically connect it near your router or use a powerline adaptor. Like the Synology DS116, the TS-131P also supports many external USB sound cards and speakers, allowing you to connect them straight to the NAS and use it as a music server. Overall, QNAP’s OS is good, but some areas felt a little clunky and not quite as visually appealing as Synology’s DSM interface. It also took a little longer to set up certain features than on the Synology, such as Cloud access, but it’s unlikely you’d need to do much of this setup work too often. In the Intel NAS performance test, the QNAP led most of the performance graphs, edging out the Synology NAS in the file read and directory read tests by noticeable margins and just claiming the top spot in the video playback test, with a peak speed in file writing of 121MB/sec. Its performance in the directory read test was impressive too – good news if you’ll be dealing with masses of photos or file-packed folders. It proved to be nearly 50 per cent quicker than any other NAS enclosure here in these directory read tests. While Synology’s operating system is a little more polished and easier to use in some areas, QNAP isn’t far behind, and the TS-131P offers a vast feature set and plenty of automation when it comes to setting up its various features. 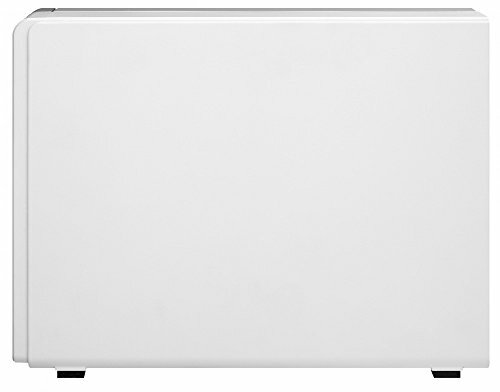 The QNAP TS-131P also includes handy USB ports and a trouble-free setup, so overall, it’s a slightly better buy than the Synology DS116, justifying its higher price tag if you need a fast, feature-laden single-bay NAS enclosure. 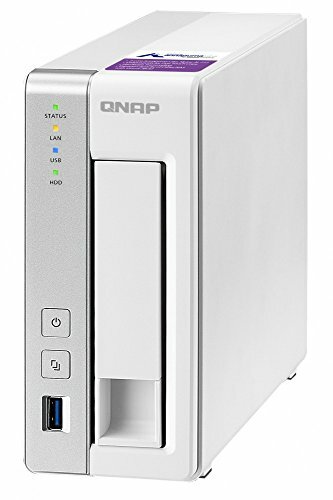 Expensive for a single-bay diskless enclosure, but the QNAP is powerful and loaded with features. Thanks for your Review. I just ordernd ohne of These NAS-Devices on eBay, second Hand. Just for Tryout. Hope, it will fit my needs.